Following are the SQL Server 2008 Interview Questions presenting here are collected from various students, professors, websites. 1. What are the basic functions for master, msdb, model, tempdb and resource databases? Ans:- The master database holds information for all databases located on the SQL Server instance and is theglue that holds the engine together. Because SQL Server cannot start without a functioning masterdatabase, you must administer this database with care. The msdb database stores information regarding database backups, SQL Agent information, DTS packages, SQL Server jobs, and some replication information such as for log shipping. The tempdb holds temporary objects such as global and local temporary tables and stored procedures. The model is essentially a template database used in the creation of any new user database created in the instance. The resoure Database is a read-only database that contains all the system objects that are included with SQL Server. SQL Server system objects, such as sys.objects, are physically persisted in the Resource database, but they logically appear in the sys schema of every database. The Resource database does not contain user data or user metadata. 2. What is Service Broker? Ans:- Service Broker is a message-queuing technology in SQL Server that allows developers to integrate SQL Server fully into distributed applications. Service Broker is feature which provides facility to SQL Server to send an asynchronous, transactional message. it allows a database to send a message to another database without waiting for the response, so the application will continue to function if the remote database is temporarily unavailable. 3. Where SQL server user names and passwords are stored in SQL server? They get stored in System Catalog Views sys.server_principals and sys.sql_logins. 4. What is Policy Management? Ans:- Policy Management in SQL SERVER 2008 allows you to define and enforce policies for configuring and managing SQL Server across the enterprise. Policy-Based Management is configured in SQL Server Management Studio (SSMS). Navigate to the Object Explorer and expand the Management node and the Policy Management node; you will see the Policies, Conditions, and Facets nodes. 5. What is Replication and Database Mirroring? Ans:- Database mirroring can be used with replication to provide availability for the publication database. Database mirroring involves two copies of a single database that typically reside on different computers. At any given time, only one copy of the database is currently available to clients which are known as the principal database. Updates made by clients to the principal database are applied on the other copy of the database, known as the mirror database. Mirroring involves applying the transaction log from every insertion, update, or deletion made on the principal database onto the mirror database. 6. What are Sparse Columns? Ans:- A sparse column is another tool used to reduce the amount of physical storage used in a database. They are the ordinary columns that have an optimized storage for null values. Sparse columns reduce the space requirements for null values at the cost of more overhead to retrieve nonnull values. 7. What does TOP Operator Do? Ans:- The TOP operator is used to specify the number of rows to be returned by a query. The TOP operator has new addition in SQL SERVER 2008 that it accepts variables as well as literal values and can be used with INSERT, UPDATE, and DELETES statements. Ans:- CTE is an abbreviation Common Table Expression. A Common Table Expression (CTE) is an expression that can be thought of as a temporary result set which is defined within the execution of a single SQL statement. A CTE is similar to a derived table in that it is not stored as an object and lasts only for the duration of the query. 9. What is MERGE Statement? Ans:- MERGE is a new feature that provides an efficient way to perform multiple DML operations. In previous versions of SQL Server, we had to write separate statements to INSERT, UPDATE, or DELETE data based on certain conditions, but now, using MERGE statement we can include the logic of such data modifications in one statement that even checks when the data is matched then just update it and when unmatched then insert it. One of the most important advantages of MERGE statement is all the data is read and processed only once. 10. What is Filtered Index? Ans:- Filtered Index is used to index a portion of rows in a table that means it applies filter on INDEX which improves query performance, reduce index maintenance costs, and reduce index storage costs compared with full-table indexes. When we see an Index created with some where clause then that is actually a FILTERED INDEX. 11. Which are new data types introduced in SQL SERVER 2008? Ans:- The GEOMETRY Type: The GEOMETRY data type is a system .NET common language runtime (CLR) data type in SQL Server. This type represents data in a two-dimensional Euclidean coordinate system. The GEOGRAPHY Type: The GEOGRAPHY datatype’s functions are the same as with GEOMETRY. The difference between the two is that when you specify GEOGRAPHY, you are usually specifying points in terms of latitude and longitude. 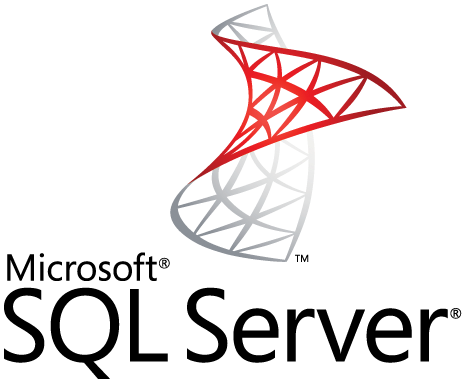 New Date and Time Datatypes: SQL Server 2008 introduces four new datatypes related to date and time: DATE, TIME, DATETIMEOFFSET, and DATETIME2. DATE: The new DATE type just stores the date itself. It is based on the Gregorian calendar and handles years from 1 to 9999. TIME: The new TIME (n) type stores time with a range of 00:00:00.0000000 through 23:59:59.9999999. The precision is allowed with this type. TIME supports seconds down to 100 nanoseconds. The n in TIME (n) defines this level of fractional second precision, from 0 to 7 digits of precision. The DATETIMEOFFSET Type: DATETIMEOFFSET (n) is the time-zone-aware version of a datetime datatype. The name will appear less odd when you consider what it really is: a date + a time + a time-zone offset. The offset is based on how far behind or ahead you are from Coordinated Universal Time (UTC) time. 12. What are the Advantages of using CTE? Ans:- Using CTE improves the readability and makes maintenance of complex queries easy. The query can be divided into separate, simple, logical building blocks which can be then used to build more complex CTEs until final result set is generated. CTE can be defined in functions, stored procedures, triggers or even views. After a CTE is defined, it can be used as a Table or a View and can SELECT, INSERT, UPDATE or DELETE Data. Ans:- Synonyms give you the ability to provide alternate names for database objects. You can alias object names; for example, using the Employee table as Emp. You can also shorten names. This is especially useful when dealing with three and four part names; for example, shortening server.database.owner.object to object. 16. What is Isolation Levels? Ans:- Transactions specify an isolation level that defines the degree to which one transaction must be isolated from resource or data modifications made by other transactions. Isolation levels are described in terms of which concurrency side-effects, such as dirty reads or phantom reads, are allowed. 17. What is use of EXCEPT Clause? EXCEPT clause is similar to MINUS operation in Oracle. The EXCEPT query and MINUS query returns all rows in the first query that are not returned in the second query. Each SQL statement within the EXCEPT query and MINUS query must have the same number of fields in the result sets with similar data types. 18. How would you handle error in SQL SERVER 2008? 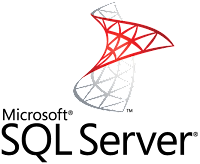 Ans:- SQL Server now supports the use of TRY...CATCH con handling. TRY...CATCH lets us build error handling at the level we need, in the way w to, by setting a region where if any error occurs, it will break out of the region and head to an error handler. Ans:- RaiseError generates an error message and initiates error processing for the session. RAISERROR can either reference a user-defined message stored in the sys.messages catalog view or build a message dynamically. The message is returned as a server error message to the calling application or to an associated CATCH block of a TRY | CATCH construct. 20. How to rebuild Master Database? Ans:- Master database is system database and it contains information about running server's configuration. When SQL Server 2005 is installed it usually creates master, model, msdb, tempdb resource and distribution system database by default. Only Master database is th one which is absolutely must have database. Without Master database SQL Server cannot be started. This is the reason it is extremely important to backup Master database. To rebuild the Master database, Run Setup.exe, verify, and repair a SQL Server instance, and rebuild the system databases. This procedure is most often used to rebuild the master database for a corrupted installation of SQL Server.